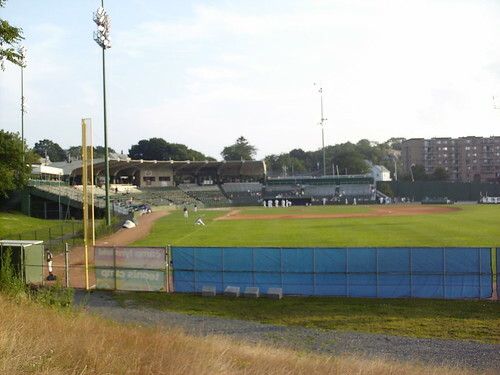 The view from beyond the right field fence at Fraser Field. 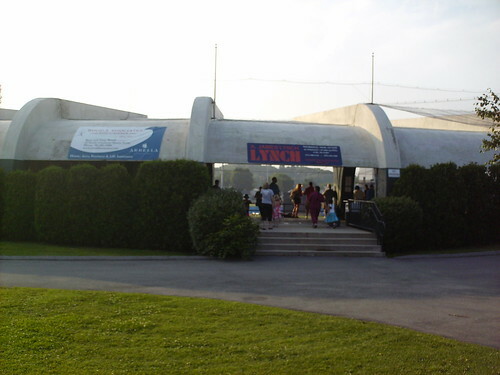 The grandstand at Fraser Field. 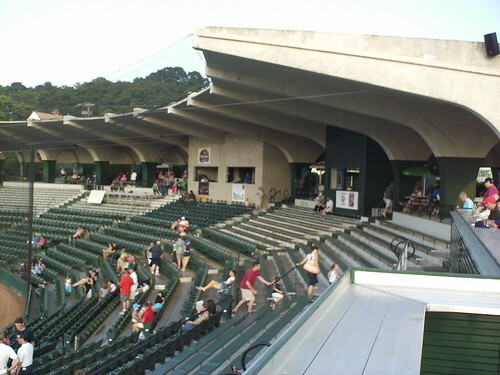 The grandstand was built in 1940 and is a cantilevered roof, so no poles block the fans view. The original roof extended all the way to the netting, but was trimmed back in recent years. 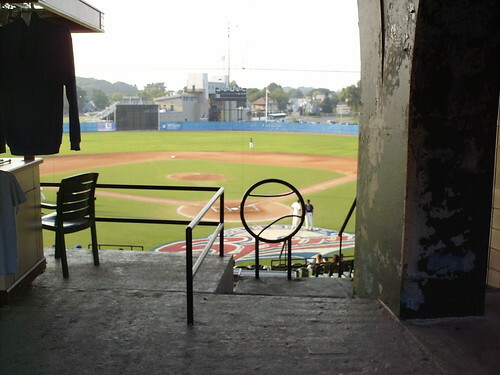 The handrails on the concourse at Fraser Field, shaped like baseballs. 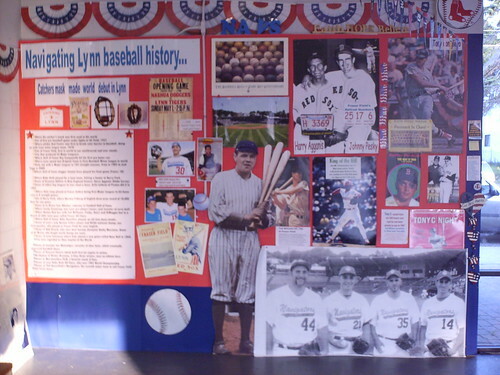 A mural to the history of baseball in Lynn inside the concourse. The view from behind home plate at Fraser Field. 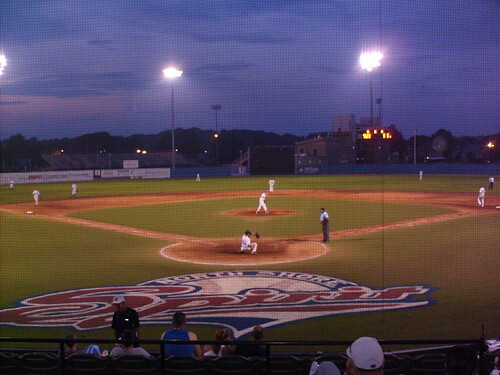 The logo of the North Shore Spirits, the Can-Am League team that used the field until 2007 lives on in a slightly modified state as a celebration of North Shore spirit. The view from down the third base line at Fraser Field. 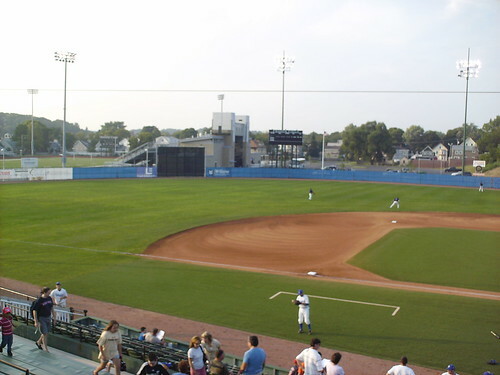 Manning Field, a local football stadium, stands beyond the outfield. 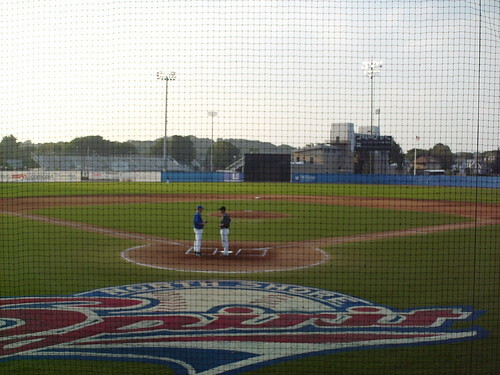 The North Shore Navigators on the field at Fraser Field.